Soul Mates is a toxic bromance that follows the story of a couple of buddies who are continually drawn together across the course of human history, past and future. In the beginning of time these two mates are experiencing all of life's firsts as a couple of cavemen. In 1981 they're two New Zealanders killing it as Kiwi assassins. 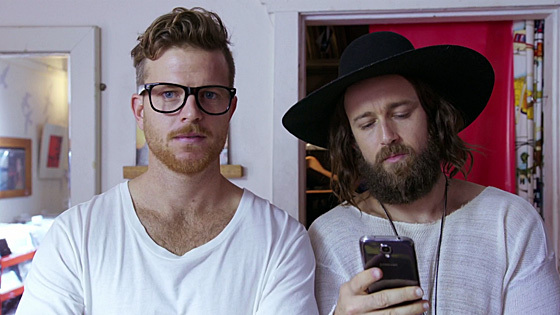 By 2014 they're a pair of fashion-obsessed Bondi hipsters, and in the year 2093 they are tackling time travel conundrums, working nine to five in a time travel agency.